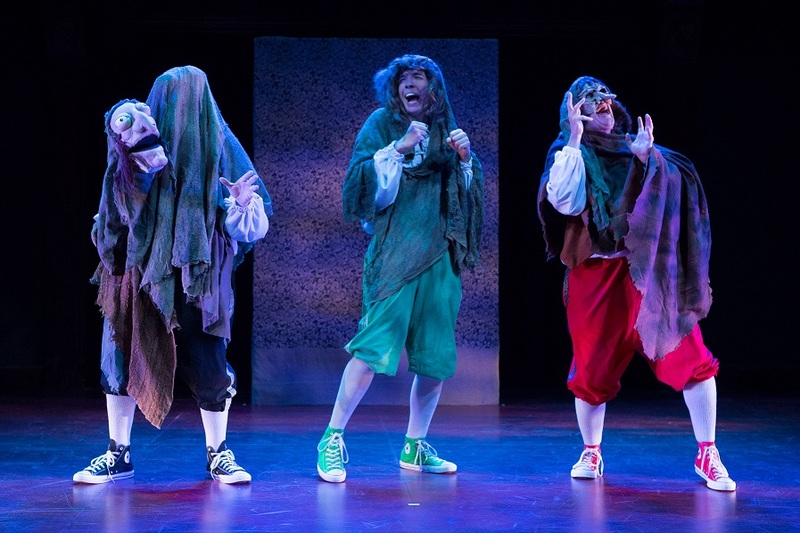 In this “tale told by idiots,” The Reduced Shakespeare Company weaves all of The Bard’s famous characters, greatest lines and magnificent speeches into a brand new Shakespearean smorgasbord. William Shakespeare’s Long Lost First Play (abridged) is a comic misadventure that will feel strangely familiar yet excitingly new. Contains occasional bawdy language and mild innuendo. Recommended for ages 13 and up. Learn more about the cast here. The year 2016 marked the 400th Anniversary of William Shakespeare’s passing, and while performing in England that summer, the Reduced Shakespeare Company uncovered a manuscript that turned out to be the literary Holy Grail: William Shakespeare’s long lost first play! No, really. We found this centuries-old manuscript in a parking lot in Leicester, England. We are totally not making this up. Every famous character and Shakespearean plot device come together in a single story so comically outrageous it’s no wonder the Bard of Avon hid it away. Historical evidence suggests that this manuscript, Shakespeare’s very first written work, is so romantically rich, historically accurate, and theatrically overstuffed that in a stroke of genius The Bard decided to break it up into the thirty-seven plays (…or, depending on recent scholarship, 38…39….) that we know today as the Shakespearean canon. Reduced Shakespeare Co challenges what you thought you knew about some of your favorite classics, from introducing Hamlet's life-coach (Lady Macbeth) to revealing feuds you might not have known about between play characters, reviewed by The Washington Post here. Reduced Shakespeare Company performs in Pittsburg every year to a loyal, ecstatic local audience. But how does it connect so deeply to audiences around the world with 400-year-old material? Read more with the Pittsburg Post-Gazette here. Theatre at The Broad Stage is made possible in part by generous gifts from Bill & Laurie Benenson and Susan Stockel.